( CNN) Beijing had the Bird’s Nest. London, a towering statue of distorted steel. How will Rio’s Olympic Park leave its mark? 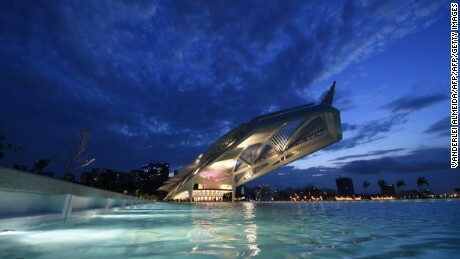 Like the past two summer Olympic hosts, Rio de Janeiro is turning existing landmarks into venues. The world-renowned Maracana Stadium hosts football, while the Sambadrome a centrepiece of Rio’s annual carnival will welcome the Olympic marathon and archery.